A.J. Singh talks about the upcoming hospitality and tourism management program to open this spring at the University of Texas Rio Grande Valley on Thursday, Oct. 18, 2018, in Edinburg. EDINBURG — A new program coming to the University of Texas Rio Grande Valley aims to change the thought and skill behind hospitality and tourism in the region by awarding specialized bachelor’s degrees and certificates. The hospitality and tourism management bachelor’s degree program at UTRGV is set to launch this spring semester as part of the university’s College of Business and Entrepreneurship. The program will begin by offering an introductory course this spring focused on exposing students to all the different areas impacted by tourism and hospitality in which they can find a career path. Singh has been working and teaching about the industry for the last 40 years, and a month ago he made the transition from Michigan State University to come lead the program at UTRGV. He currently works as a one-man band until professors and adjunct faculty members come on board. Singh has helped shape the program along with consultants hired by the university to develop the core requirements. His goal for the first course is to offer a landscape view to all students and them help them transition into the specific area of the field where they fit in the most. The program will be based on core business courses such as introduction to financial accounting, managerial accounting and microeconomics. Then students will move forward to advanced courses such as hospitality law, international travel and tourism and will be given a choice to acquire a certificate in one of four pathways. These pathways include lodging asset ownership and management, event and destination management, restaurant entrepreneurship and management and healthcare hospitality. One of Singh’s main goals is to make the program not only stand out in the Valley, but nationally and internationally recognized as well. His aspiration is to create partnerships with other universities throughout the country and abroad and build a student exchange pipeline to expose students to other markets. 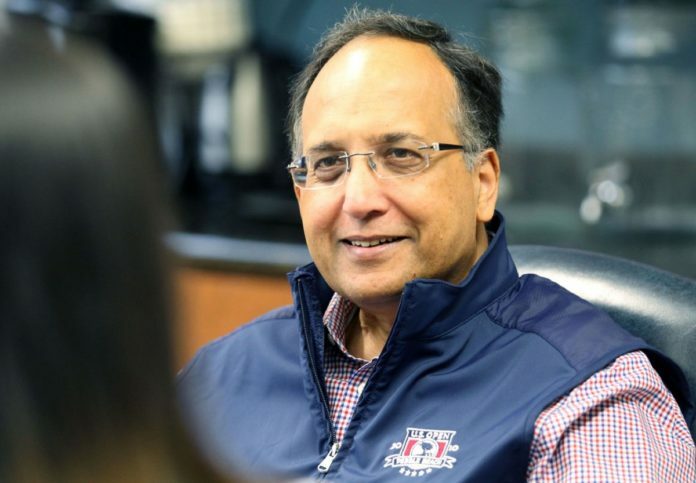 Once students come back to the Valley or enter the workforce after graduation, Singh said the job possibilities are wide ranging. Graduates could use the degree to go directly into the hotel, travel, or tourism sector, or they can use it to transfer to any other service industry job. The introductory courses will also include guest speakers from the various areas of the industry that would give students a better idea of the skill-set they used in their careers. The program has the potential to grow quickly, he said, as university officials have been discussing the possibility to have a building specifically dedicated to the hospitality school degrees and even a teaching hotel in the near future.